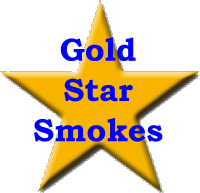 It’s been almost ten months since the StogieGuys.com team published a new list of Gold Star Smokes. As you might recall, this special designation celebrates cigars that we feel are worthy of strong recommendations. They don’t necessarily have to be five stogie-rated—just commendable smokes we turn to time and again. In our previous three Gold Star Smokes articles, we highlighted cigars like the Rocky Patel Vintage 1992 Torpedo, El Rey Del Mundo Robisto Larga, Punch Champion, EO 601 Serie “Green” La Fuerza, Montecristo Petit Edmundo, Cuban Crafters Cameroon Robusto, Blend 376 Robusto Extra, Arturo Fuente King B, and La Gloria Cubana’s Medaille d’Or No. 1 Maduro. Today we select four more. The newly released 777 Corojo Robusto by J. Fuego strikes a great chord for me. It certainly wasn’t the most flashy or highly anticipated cigar at the IPCPR Trade Show in August. But, for about $5 apiece, it does offer an oily wrapper, good construction, and an interesting flavor of wood, pepper, citrus, and sour cream. I’ll always have a spot in my humidor for this silky smoke. As a reviewer of cigars, I enjoy regularly trying new and different smokes. But there are only a few that I find myself coming back to again and again. One such blend is Cubao by EO Brands. It’s a rare smoke that truly has balance, intensity, and complexity—which is particularly impressive at the reasonable price of around $6 each by the box. Having sampled all the sizes, I’ve found the Cubao No. 4 (4.9 x 50) best showcases all this blend has to offer. The more I smoke the Camacho Connecticut Churchill, the more I like it. Great flavor, smooth, nicely constructed—and weighing in at only $6. You’ll be hard-pressed to find a more satisfying medium- to full-strength cigar at such a reasonable price. Light one up, grab a drink, switch on the TV, and enjoy the game. (Here’s a review of the robusto-sized Monarca). I don’t always have two or more hours to dedicate to smoking. When I’m pressed for time, I often turn to Arturo Fuente’s Hemingway Short Story. It can be had for around $5 and offers all the wonderful balance, spice, and sweetness you’d expect from a Cameroon-wrapped cigar. Light one up when you’re short on time but looking for a quality experience. I definitely agree with Patrick S on Cubao. Haven't sampled the #4 yet but the #5 is my fave with the #1 coming a close second. Excellent cigars indeed! That Camacho is very underrated. Except by you guys, which is where I found out about it. Awesome smoke! I was heading out from my Father's at Christmas when he said "take some of those things" about the Short Storys. I smoked one in the truck while driving to the next holiday stop and was really surprised. I figured it'd be a throw away "smoke because you're bored" stick. But I'm definitely going to pick up a box before too terribly long.